Great Lakes Excavating takes much pride in our trained experts placed within every project. Our team is dedicated to creating and sustaining a close communicative relationship with you throughout the duration of the project and beyond. 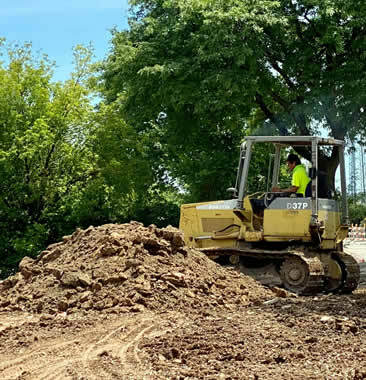 We offer the best quality tree and land clearing services in the Milwaukee area with our main focus on customer satisfaction and affordable prices. Our team of professionals have unmatched experience to ensure the job is always done correctly. We use the latest technology and equipment for clearing land and trees. We can handle any of your projects that require land clearing, including dirt and fill. We guarantee that you will always be satisfied with our work.